3.7 Lithium ion 3.7v batteries by Warmthru are purpose-built for some of our products, not all. Others use 7.4V. 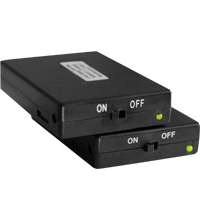 3.7v batteries have an on-off switch, but no heat control, which acts as a product switch. Heat time and battery longevity vary according to the product because some have bigger draws than others. Generally speaking expect between 2-5 hours. If you already purchased a product that uses 3.7v batteries from Warmthru, then these will be spare batteries for you and you will already have a charger so no additional charger is required. This product is right for you. If you haven't already purchased a warmthru product that uses 3.7v batteries, better do so now. This product may not be right for you otherwise.